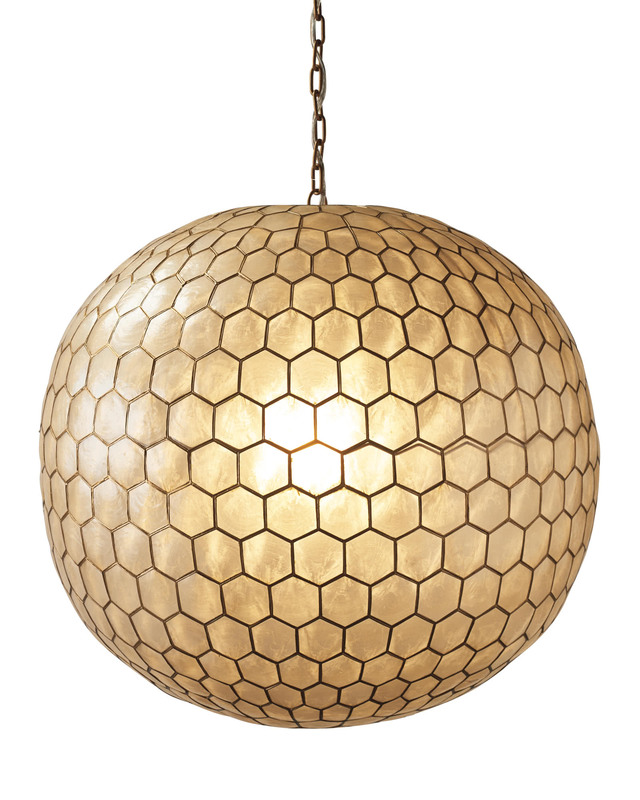 Capiz Honeycomb ChandelierCapiz Honeycomb Chandelier, alt="Capiz Honeycomb Chandelier, "
Print Always looking for opportunities to add texture and dimension to a room, we fell in love with this chandelier. 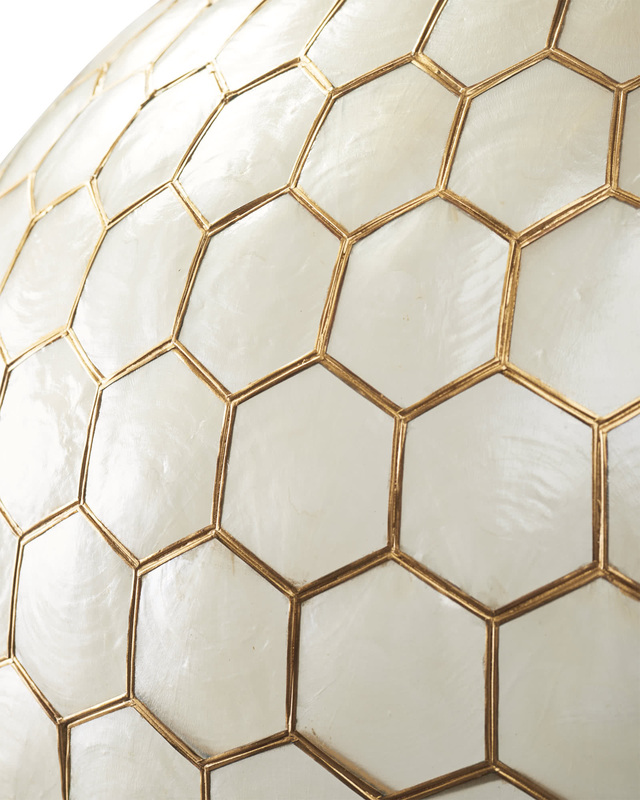 The round shape brings a touch of the ethereal, with gold tones that add a little extra lustre. 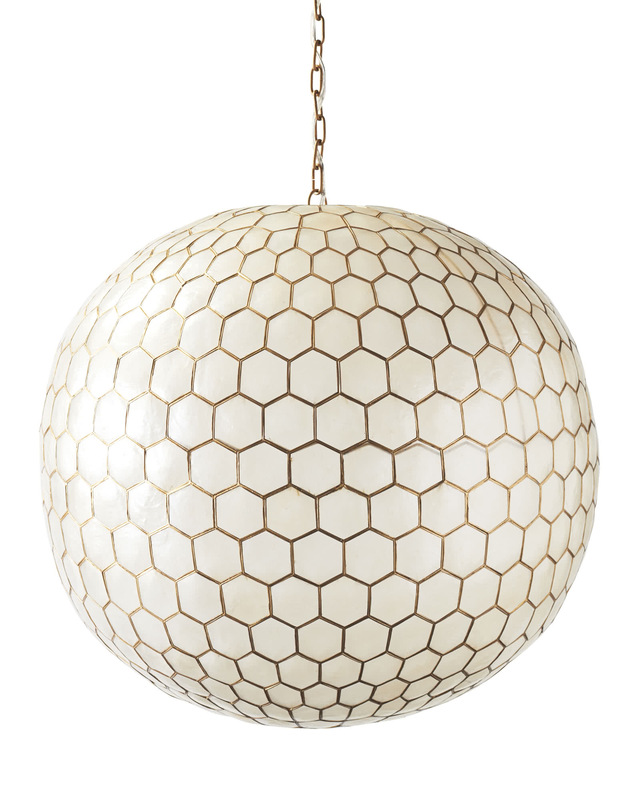 And the capiz shells themselves are the perfect natural diffuser, illuminating your space with a soft, warm glow. Capiz shells with a metal frame painted in antique gold. Steel ceiling plate has a coordinating antique gold finish. 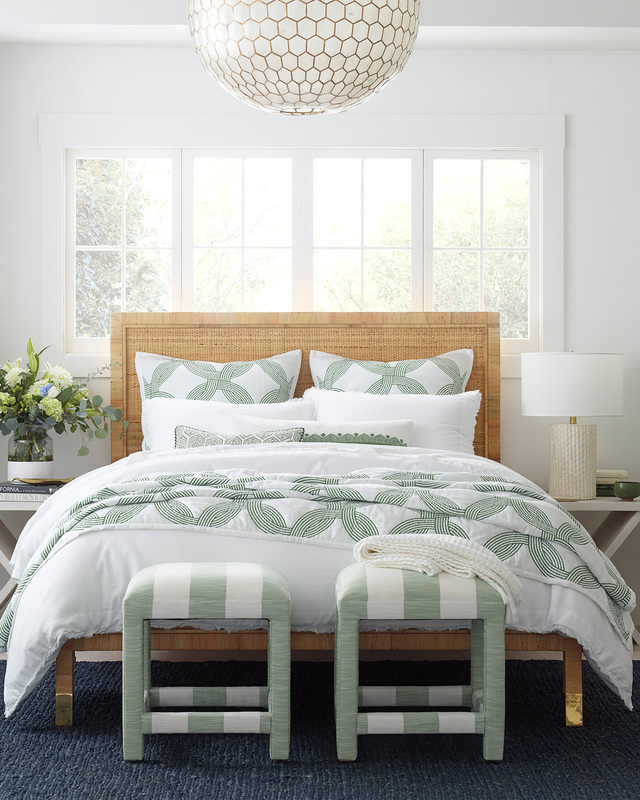 Natural variations occur in the capiz shells, making each piece one of a kind. Uses one Type E26 bulb, 60W max. Small: 22.5”DIAM x 19.5”H overall; 96"L chain. Large: 29”DIAM x 27”H overall; 96"L chain. The 22.5"D size of this item ships via FedEx Ground and arrives within 5-7 business days of order receipt. The 29"D size of this item arrives in 2-4 weeks via White Glove Delivery. We deliver within the continental United States. Our White Glove Delivery Service includes bringing the item into your home (up no more than two flights of stairs), unpacking it and removing all packaging.